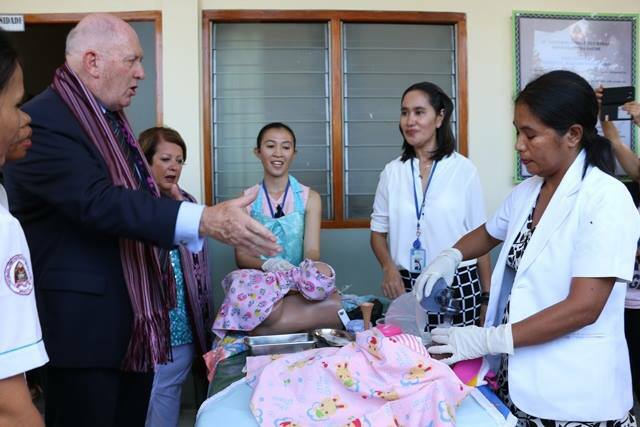 The Governor-General of Australia, His Excellency General the Honorable Sir Peter Cosgrove AK MC (Retd) visited a community health center in Dili on March 2, 2016 as part of an official visit to Timor-Leste. Along with Government midwives, HAI midwives, Teresinha Sarmento and Rara Dethan gave a demonstration of newborn resuscitation using a mannequin and baby doll. HAI midwives have been providing technical support in essential newborn care to this health center since 2013 with support from the Australian Government. HAI midwives provide on the job follow-up after training support to ensure skills are maintained when midwives return to their work site. 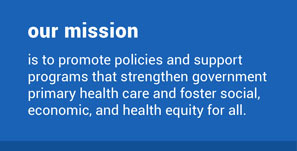 Prior to the follow up after training intervention, Government midwives did not feel comfortable resuscitating newborns and referred them all to the national hospital, thus delaying their care and rate of survival. Since 2013, Government midwives now feel confident to resuscitate newborns in the facility, averaging about five babies per year. Appointed by the Australian prime minister and on the advice of the Queen of England, the Governor-General of Australia, is the representative of the Australian monarch in Australia.